Another glorious day of hiking. Beautiful weather, loads of sun. Spring is in the air, saw tons of bugs and butterflies flying around. Bunch of day hikers wandering around today as well. Bumped into a SOBO hiker named Mountain Man, nice guy, he's almost done! Tonight's shelter is really close to a road and the eleven of us placed a ginormous delivery order from a pizza place in town. 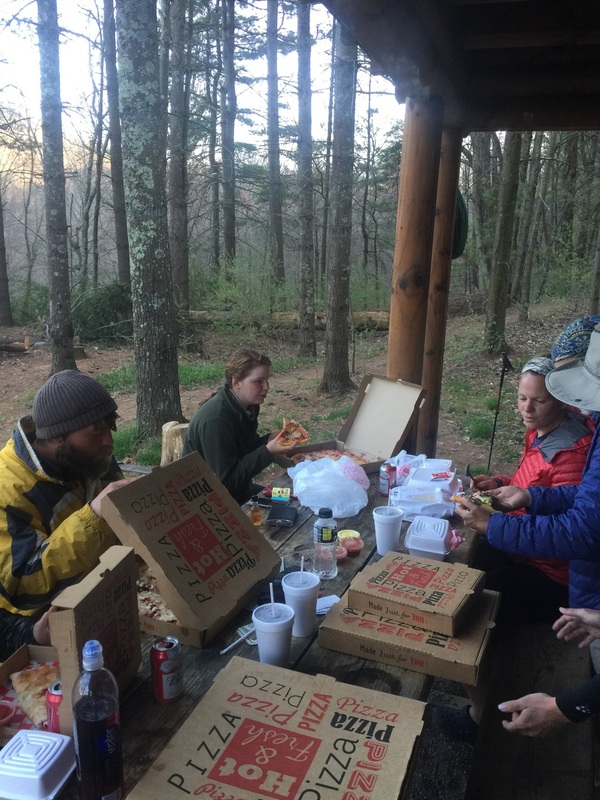 The majority of us ordered these giant sixteen inch pizzas, but there were a few salads and pasta dishes as well. Grabbing the local shuttle into Marion, VA tomorrow to resupply. Probably be a shorter mileage day because of the run into town.